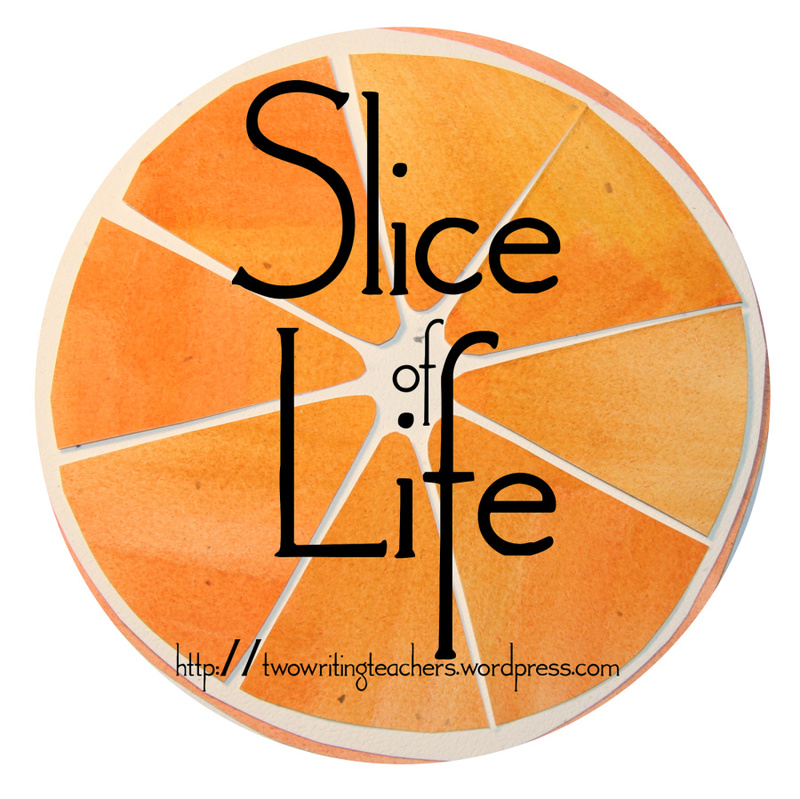 “Two Writing Teachers” hosts the weekly “Slice of Life” challenge. This writing challenge gives us the opportunity to write about something in our lives. Sunday my husband and I attended the anniversary celebration of an older couple from our church. These two have been married 65 years! Yes – 65! They’ve been married longer than we’ve been alive! Both are in their mid 80s and are still very active. They sing in the choir and in singing groups. They volunteer and enjoy evenings out, especially playing euchre.They are always concerned with their friends and love to chat. What role models they are for us all. They support each other, laugh and joke with one another and are still quite affectionate. I feel privileged to call them friends. Thunderstorms and warnings of a possible tornado, persuaded me to shutdown my computer yesterday afternoon. Even though I have an ipad, I chose not to post. After a full day away from the computer, I decided to continue with the rest. This past week was productive. * I completed my last revision of “the Chestnut and the Bay” and will be submitting it this week. 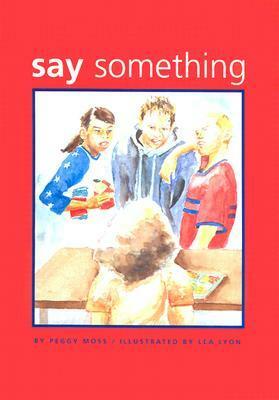 This was the NF book I wrote through “NF Archaelogy” (run by Kristen Fulton) and critiqued several times by her. During the last critique Friday, Kristen dubbed it ready. *I am taking part in 2 online writing workshops – “Teachers Write” through Kate Messner and “Writing Summer school ” with the Nerdychicks. Love them both and so much great advice from both. *I have been working on a few of my other works as well, but not huge chunks of time. Have started a new story that I’m loving. *I need to polish my story and my cover letter and then send to 4 agents. *Work on my characters per “summer School” posts. This past week I have continued reading and studying fiction and non-fiction picture books. There is such a wealth of these awesome books. Interesting biography of the first woman to enroll in the school of Architecture in Paris. 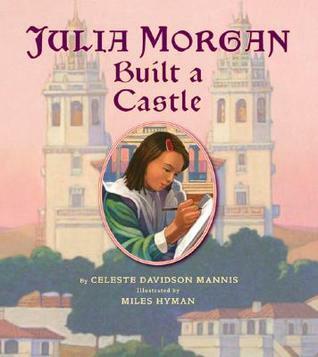 She became famous for her buildings that withstood the San Francisco earthquake. and the Hearst castle. 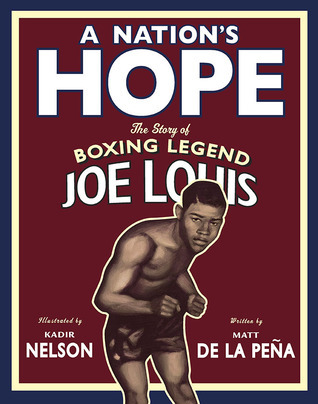 This biography of Joe Louis made the boxer come to life and highlighted his special personality. Too often people use the excuse “it’s not my problem” to do nothing. The issue of bullying is looked at through the lens of a young girl who comes face to face with it after refusing to speak up other times. Another message that needs to be heard – we must speak up against racism, discrimination and bullying. 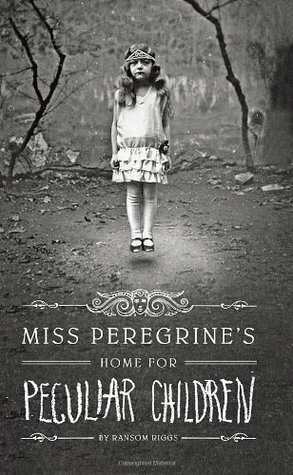 I also finally read “Miss Peregrine’s Home for Peculiar Children” by Ransom Riggs. Loved this quirky book and am anxious now to read the sequel. Last night was the second night in a row that I just could not get to sleep. I was determined to stay in bed last night and force sleep. It wasn’t going to happen. though But what happened was even better in the end. I had been at a standstill on my adult novel. Last night I began thinking about the two characters and what they needed to do to move forward. I have started with “summer School for Writers” through NerdyChicks and I guess I was thinking about the lessons. Suddenly I was seeing them interacting and solving a problem I had with the scene. Then the next scene played itself out as well. I often visualize these scenes first before I write. I had to get up then and capture those scenes on paper. Yes! The scenes worked, even when I got up this morning and read them over. I am excited now to return to the novel. 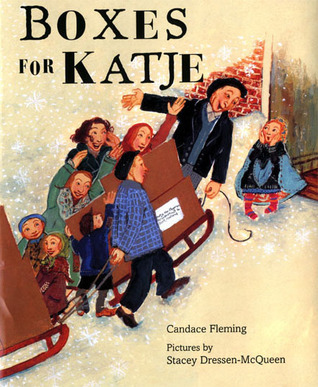 lLst week I shared a number of the wonderful picture books I read during the retreat i attended.I read over 20 books and enjoyed the stories and the lessons I took from them (beginnings and endings, characters, plot etc). 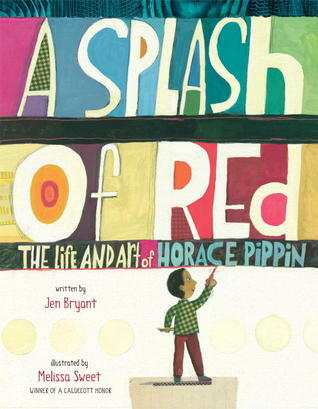 This is a biography of Horace Pippin, a little known artist who loved to draw. His right arm was Injured during WW1 but he he would eventually return to creating art. He was self- taught and loved to add a touch of red to his paintings. 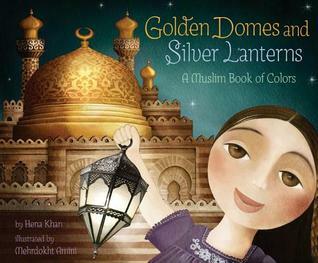 Lovely biography – both words and illustrations. 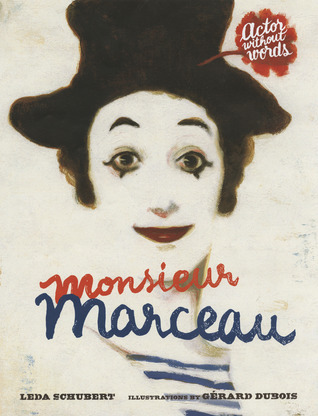 A delightful biography of the internationally famous mime Marcel Marceau.This is a look behind the white face, at the man who has entertained us for over 50 years. 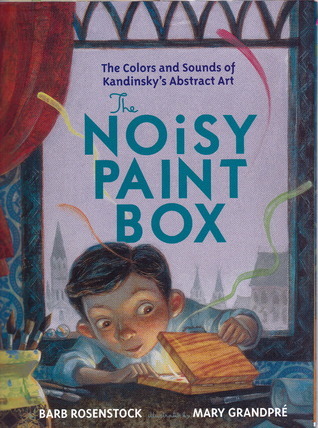 Another biography, this one of the abstract artist Kandinsky, who actually heard sounds that colours made. 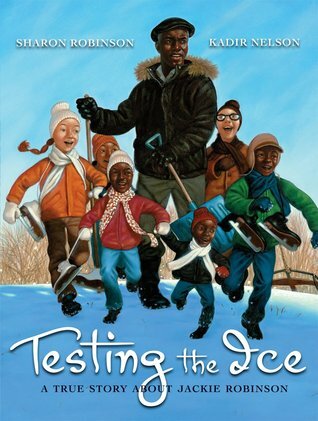 Jackie Robinson’s daughter Sharon has written a lovely biography of her father, based on an incident on the a rink with the neighbour children. Loved it. 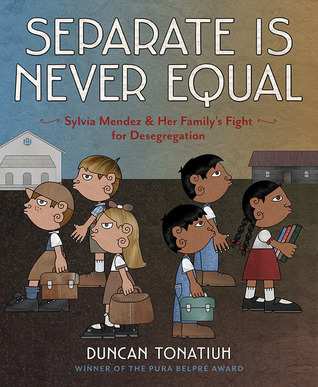 This is the story of Sylvia Mendez and her parents who filled a lawsuit and helped end school segregation in California. Excellent read.. This past week has been a busy one of revisions to 5 picture book scripts that i had taken with me to the writers’ retreat last week. 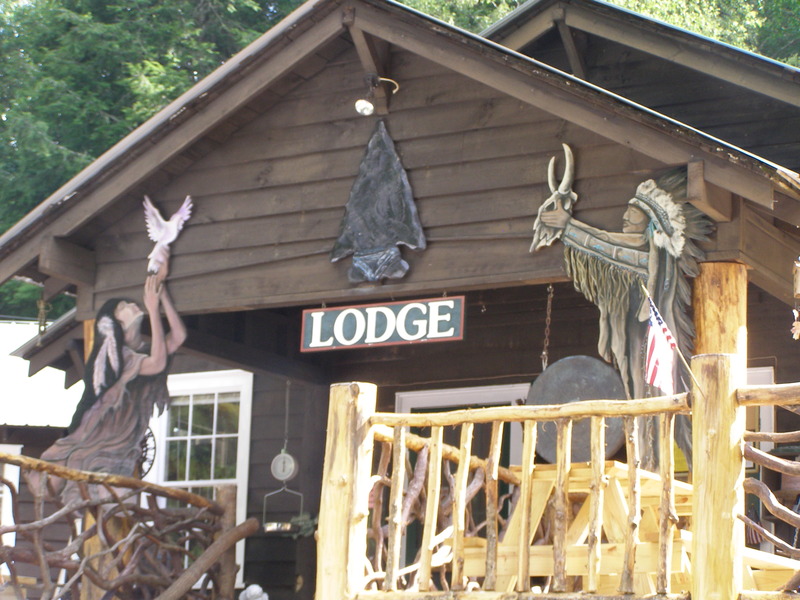 (next year’s retreat is already available to sign up for – I’m already committed to going) All of the stories had critiques done and were part of the daily round tables. Each day this week I took one of the stories and went through it with the critiques I received. Six or seven different opinions provided lots of feedback. Some of the stories were easier to work on than others. I took a Non-Fiction writing course with Kristen Fulton (who hosted the retreat) in June and we are still together as a group, critiquing and revising our stories. I have never worked so hard on my writing as I have with this story. My goal is to submit it as soon as Kristen gives me a thumbs up. I have been doing research this week as well and have even started a new story, based on parts of my mom’s and aunt’s early lives. Loving it so far. I continue to read picture books – both fiction and non-fiction. There are so many excellent ones available. I have decided to post only on Sundays as I see more progress over a week than just a few days. This week i will be writing, researching and reading as much as possible. I want to really get my writing routine set in motion and follow it, so that i can be my most productive. I am also taking part in the Writing Summer School at Nerdychicks. Looks like it will be a lot of fun. The focus is on character. Every Tuesday at “Two Writing Teachers” the “Slice of Life” challenge allows everyone a space to share a slice of one’s life. 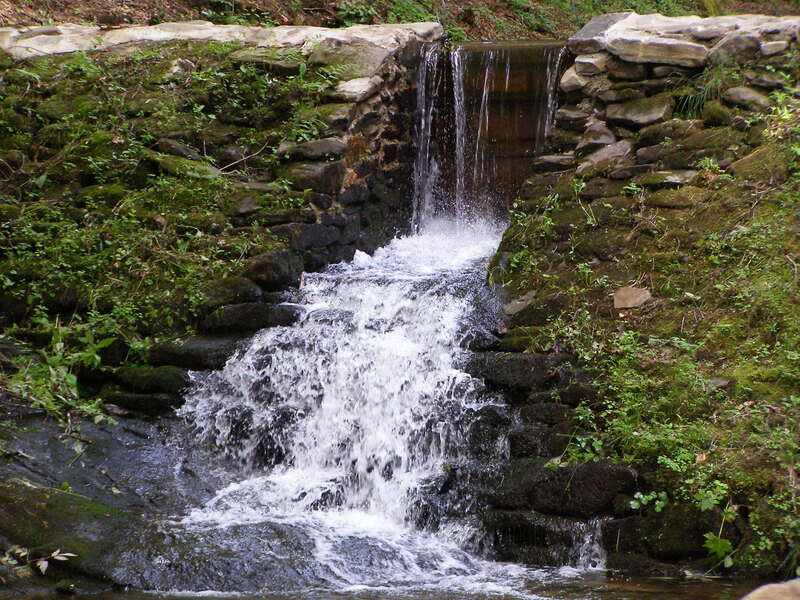 Last Monday, I traveled on my own to Atlanta and then drove with 3 others to Enota for a week long writer’s retreat. It was hosted by Kristen Fulton, whose non fiction writing workshop I have been taking (and loving!). It was truly amazing. 33 women took part in the retreat with about 15 agents, writers and published authors offering workshops and critiques throughout the week. Each day was jam packed, from 9 to 6, with workshops on picture book writing and round table groups to get critiques from 6 others on our stories. I met such interesting and caring women. We laughed and shared and worked together. The food was good, the advice was priceless and the comraderie was wonderful. I was sorry to leave. It was most definitely the best retreat/conference I have ever been to! Yes, my dream is to be published and I am on the road to follow that dream! There I’ve sad it! 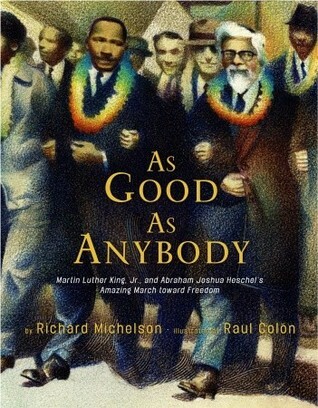 I must admit, I had tears while reading this book. It was such an inspiring, lovely story. A review wouldn’t do it justice. Just read it! Dianna spoke at the retreat and shared many of her books. 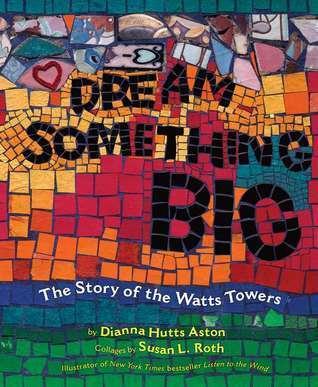 This one drew me, with the story of Simon Rodia and his incredible years long creating of the towers. The artwork by Susan L. Roth was stunning. What a fascinating history of how the towers were built. Loved it. 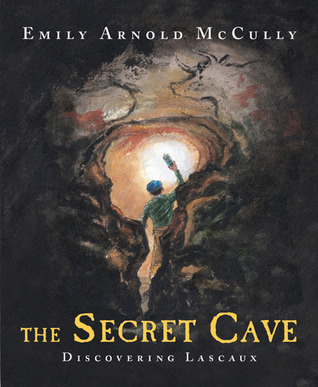 This was a fascinating history of the discovery of the Lascaux prehistoric paintings. Those paintings are incredible even after all of these years. 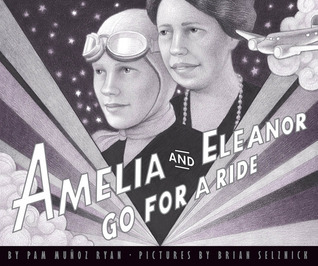 What a unique story – such an interesting way to look at two incredible women – Amelia Earhart and Eleanor Roosevelt. Amelia comes for dinner at the White House and the two women go for a ride with Amelia flying the plane. The third round of ROW80 has already begun and I am a week late in posting. 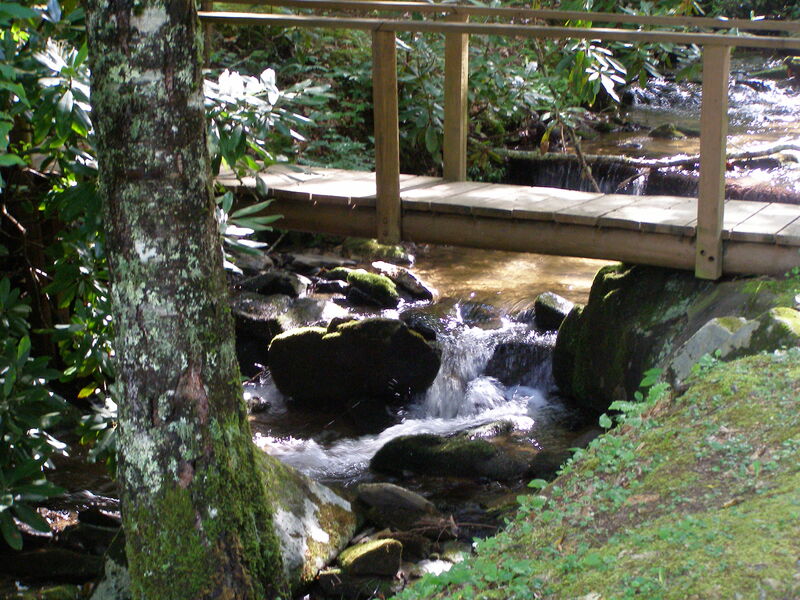 But – last week I attended an awesome writers’ retreat in Georgia and I was immersed in writing. What a fantastic learning experience. It really rejuvenated me and has me eager to become more focused on my writing. 2. Revise/edit/ 4 of my picture books. Submit one to an editor/agent. 9. Continue to read MG, YA and picture books.